Follow the progress of your print-job. The Pro 3 touchscreen module, creates a rendered image of the print-file which can also be seen on the frontend touchscreen interface. 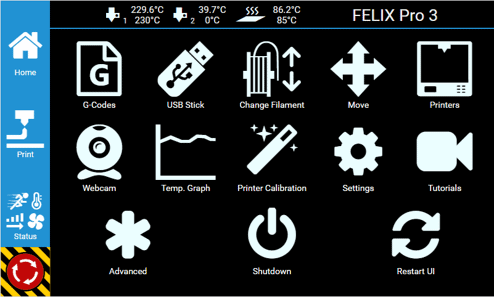 Control up to 10 printers with the touchscreen module. It is basically a full fledged octa core linux pc which can drive printers over an USB hub. 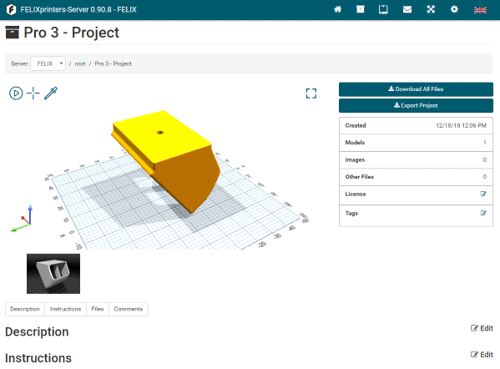 If you already have more printers, you can easily manage them with the back-end interface of the touchscreen. – Decentralized computing. Possible to let other computers on the network do the calculation intensive tasks. 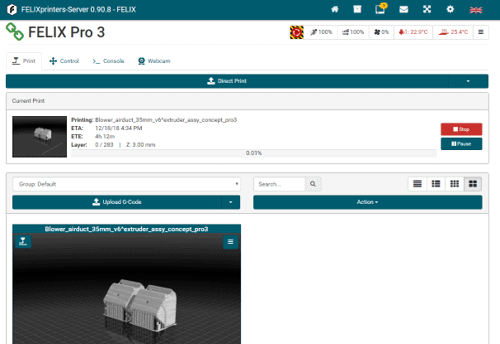 Start producing your 3D projects.